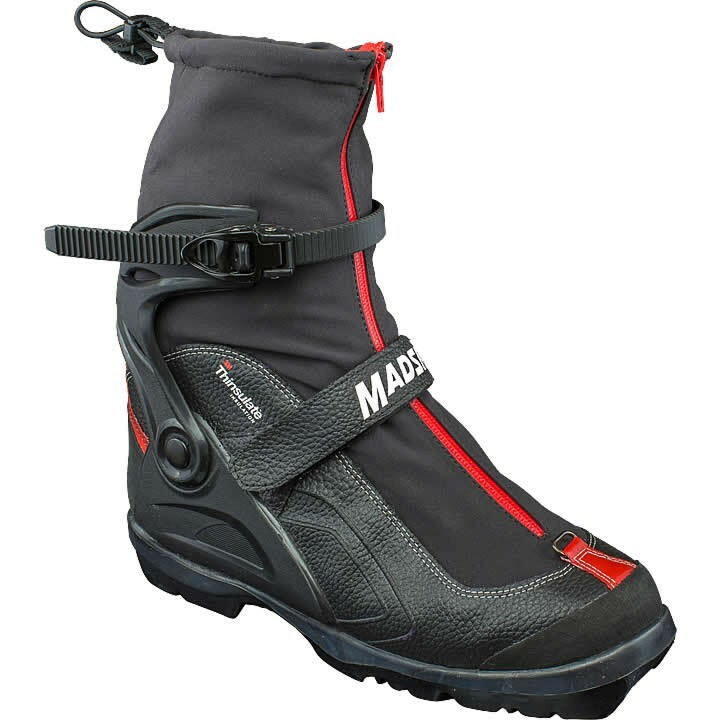 Updated for 2018, the Madshus Glittertind BC Nordic Boot features an enhanced heel hold that works with the instep powerstrap, hinged cuff, and new ratcheting cuff closure to give you confident ski control on long tours - on and off track. The tall MemBrain® softshell lacecover keeps the snow out while the Thinsulate insulation keeps the heat in. Your feet will stay warm, dry, and comfortable throughout the journey.